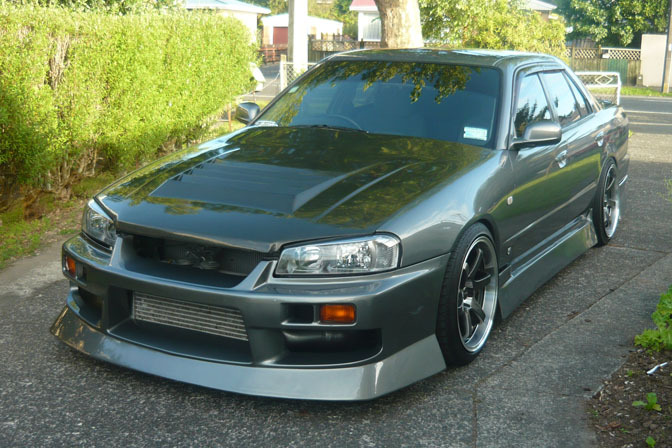 Jacob sent us some photos of his 2000 R34 Skyline Sedan from New Zealand and we knew it would be fine addition to our R34 posts today. The project started off as non-turbo shell that had been stolen and stripped. Although its seen drift action in the past, Jacob says the car is mainly a street cruiser and show machine now. 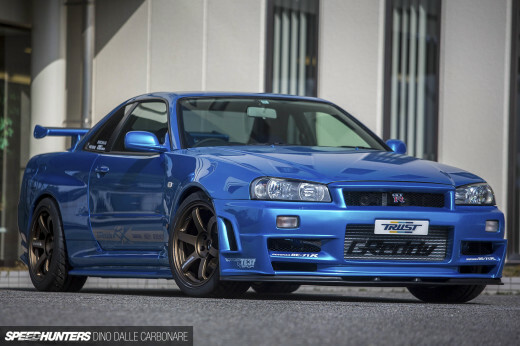 When it comes to a four-door R34, you can't do much better than the URAS kit. That's what Jacob decided to outfit to his car, along with a carbon fiber bonnet, or "hood" for us yanks. Powering Jacob's four-door is a full RB26DETT swap from an R34 GTR. He's tweaked it a bit with a set of HKS cam gears, HKS exhaust, Apexi intake and chip, and a Greddy front mount intercooler. The stance comes from a set of BC Gold coilovers. Wheels are DTM Drift 18×9.5 +12 on each corner. He also enclosed a shot of the car at the recent 4 and Rotary Nationals. Another beastly street car on the streets of NZ. Nice, Was thinking of buying a R32 four door and drop a RB26 in it! 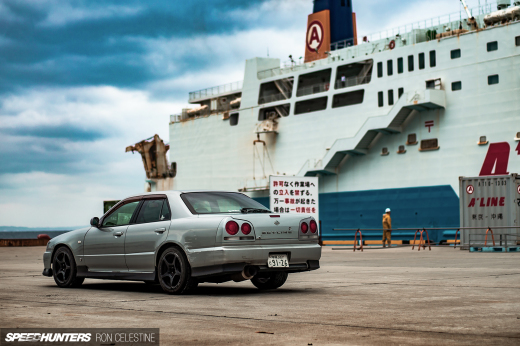 Love skyline sedans but don't like the kit, especially the rear kit. Think it would look better with no kit on the back and just the sideskirts and front bumper. i'd love to have this as a daily driver. nice ride and engie swap! looks like a man wearing skirt out to street. and the clear front indicators are needed. good work! photos dont do this thing justice! im sorry but i have to disagree you can do much better then URAS kit. cross factory 4 door kit is the best on the market . great idea and i for one always like that kit. not a big fan of the lower skirt all around the car, reminds me of my Grandma'sold bed.. but that engine bay looks ready for action!! I promise you those skirts look nice when going sideways! 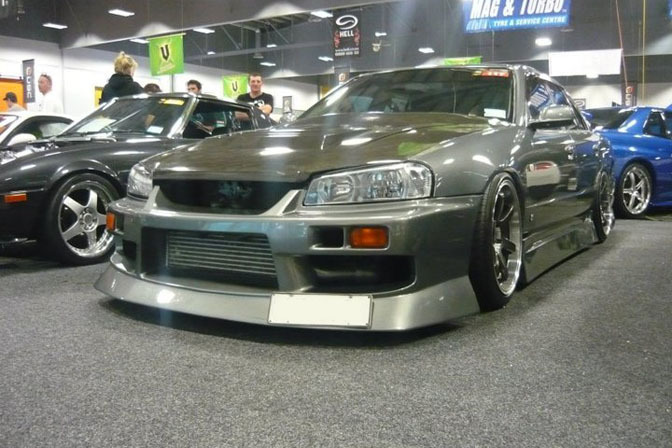 i know skylines are common and all, but there's something about the 4 door R34 with the uras kit that i like. like nomukens old one when he had it silver, not sure it had a uras kit or not, fairly sure it did, but DAMN they look good!